The greater Highland Lakes-area beer trail is growing in both popularity and breweries. Four craft breweries will soon become six, and the makers of microbrew magic are ready to welcome even more. Quyhn Rathkamp of Save the World Brewing Co., 1510 Resource Parkway in Marble Falls, agrees. She helped coordinate publication of an unofficial beer trail map two years ago. It includes Hill Country breweries from San Saba to Boerne. The next map update will need to include two newcomers. Rally Point Brewing Co., located behind the Blue Bonnet Cafe off U.S. 281 in Marble Falls, is expected to open to the public soon. Altstadt Brewery, which is currently under construction in Fredericksburg, is set to open in early 2018. Along with Pecan Street Brewing in Johnson City and Real Ale Brewing Co. in Blanco, these brew masters share a quest for quality, craft, and experience. 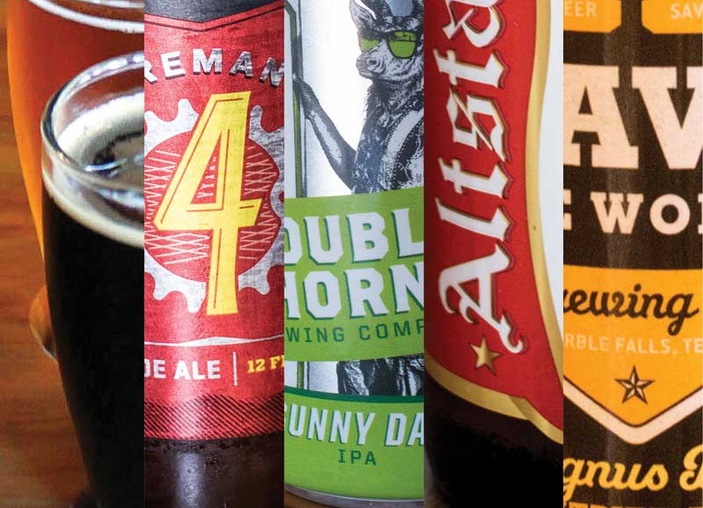 The growth of microbreweries — especially in Texas, which ranks third in the nation in output — proves the point. What has proven true for produce and coffee also works for beer. Locally crafted, grown, ground, or roasted brings authenticity consumers crave. Alexander equates the process toward palatability to magic, which translates to the community where the potions are brewed. He talks of hops with character, crisp blends that refresh, and a final product that reflects and projects the beauty of its environment. Attracting both locals and tourists to the adventure of craft beer has become a crusade for these local brewers. Each has a singular approach, offering a unique experience — all the more reason to visit each one. Perhaps the oldest of the breweries, Real Ale in Blanco, opened in 1996. Real Ale beers are unfiltered and unpasteurized and use water from the nearby Blanco River. The Blanco brewery has a sister distillery, Real Spirits Distilling Co., which makes gin and single-barrel whiskey. Both are only available in the Real Ale tap room. Save the World Brewing Co. creates Belgium-style beers known for their elegance and complexity. Save the World recently began selling growlers and six-packs for people to take home. She and husband David continually update their facility, recently adding more seating and a playscape for children. Future plans include a fenced-off area for dogs. All of these additions are aimed at customer comfort and easy enjoyment of their small-batch beer. Double Horn Brewing Co. just recently began canning and distributing in Spec’s and H-E-B stores in Austin. Alexander hopes to soon be in the Marble Falls H-E-B. Both Rally Point and Altstadt began canning, bottling, and distributing before adding public brewpubs. At Pecan Street, it’s all about the small brew and the local experience. She was quick to add that she was not dissing mass production. There’s a place for it in the industry as well, she said, echoing the feeling of friendly fellowship espoused by her brother brewers. For those who have yet to experience the growing craft beer culture in the Highland Lakes, now is the time to raise a mug to the innovative artisans who are making it happen. 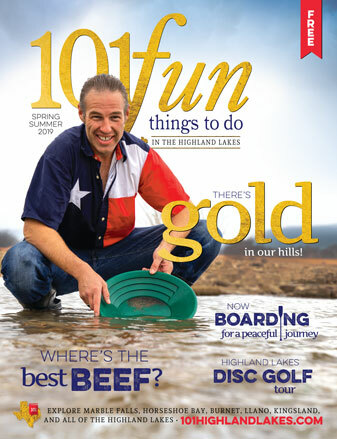 For more, check out our list of Highland Lakes Breweries.